The TS-SIS Awards Committee received approval from the TS-SIS board to support up to five separate grants for 2017-2018. The Awards Committee announced that a grant for the 2018 Leadership Academy was available, on October 11, 2017, on the TS-SIS MyCommunities list as well as on the TS-SIS website and social media. Unfortunately no applications were received for this grant. On February 6, 2018, the Awards Committee announced that educational grants were available for financial assistance to attend AALL-sponsored educational events related to technical services. This information was posted on the TS-SIS website as well. Aaron Retteen from the Texas A&M Dee J. Kelly Law Library was the 2018 Marla Schwartz Grant recipient. On November 9, 2017, the Awards Committee solicited nominations for the 2018 Renee D. Chapman Memorial Award for Outstanding Contributions in Technical Services Law Librarianship, to be received by February 1, 2018. The Committee selected Richard M. Jost, Director of the Law Librarianship Program at the University of Washington School of Law, for the award. Richard was informed of the decision by phone, and the selection was announced on the TS-SIS website and MyCommunities list and published in TSLL. Richard will receive the plaque at the Technical Services SIS Awards, Silent Auction, and Meet & Greet on July 15, 2018, in Baltimore. The TS-SIS Awards Committee solicited applications for the first-ever grant to support a TS-SIS member attending the AALL Management Institute. To publicize this, the grant information was posted on the TS-SIS website and an email was sent to all members. Only one application was received for this grant. Jesse Lambertson, Head of Cataloging at the Georgetown University Law Library, was the 2017 AALL Management Institute Grant recipient. Erica Nutzman, Head of Technical Services, Minnesota State Law Library, awarded the New Member General Grant. Heather A. Buckwalter, Serials/Acquisition Librarian, Creighton University Law Library, awarded the Experienced Member Grant. Elizabeth Outler, Head of Technical Services, Barry University School of Law Library, awarded the Active Member Grant. Anne Mellott, Cataloging and Metadata Assistant, Chapman University Law Library, awarded the Marla Schwartz Grant. On November 9, 2016, the Awards Committee began soliciting nominations for the 2017 Renee D. Chapman Memorial Award for Outstanding Contributions in Technical Services Law Librarianship. One nomination was received. The Committee selected Jean M. Pajerek, Director for Information Management at the Cornell University Law Library for the award. Jean was informed of the decision by phone. Subsequently, on February 28, 2017, the selection was announced publicly and posted on the TS-SIS website. Jean will receive the plaque at the Technical Services SIS Business Meeting on July 17, 2017, in Austin, Texas. The TS-SIS Awards Committee reviewed, updated and enhanced the criteria for the two new grants approved by the TS-SIS Board in June 2015 to support a TS-SIS member attending the AALL Leadership Academy and Management Institute. To publicize this, the grant information was posted on the TS-SIS website and an email was sent to all members. Only one application was received for this grant. Anna Lawless-Collins from Boston University School of Law Library was the 2016 AALL Leadership Academy recipient. On December 11, 2015, the Awards Committee solicited nominations for the 2016 Renee D. Chapman Memorial Award for Outstanding Contributions in Technical Services Law Librarianship. Since no nominations were received by the deadline of February 1, 2016, the date was extended to February 15, 2016. Two nominations were received. The Committee selected Ellen McGrath, Head of Cataloging of the Charles B. Sears Law Library at the University at Buffalo for the award. Ellen was informed of the decision by phone. Subsequently, on March 23, 2016, the selection was announced publicly and posted on the TS-SIS website. Ellen will receive the plaque at the Technical Services SIS Business Meeting on July 18, 2016, in Chicago. Antoinette Vanterpool, Diversity Fellow, OCLC Online Computer Library Center, Inc. The 2014-2015 year saw major changes to the TS-SIS Grants Program. Modifications and additions to TS-SIS grants that were approved in the previous term were finalized and made public. These efforts standardized and clarified grants while increasing support for members with varying levels of experience to attend different AALL educational opportunities. Grant funds are paid out as reimbursements. As of the writing of this report, those funds have not yet been expended. All of the grants cover the cost of registration for the AALL annual conference. The Active Member Grant covers the cost of registration plus travel expenses (up to $1,000). In addition to the grants for the AALL annual conference, the Committee established criteria for a new grant to support a TS-SIS member attending the 2015 AALL Management Institute. On November 7, 2014 the Awards Committee submitted a recommendation to the Board for the grant’s criteria, application requirements and deadline. The recommendation was approved on November 17 and the committee sent out announcements publicizing the grant to members on the same day. The Committee received no applications for this grant prior to the due date of December 15th. 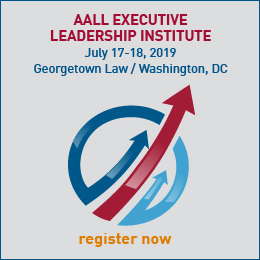 As the term drew to a close, the Committee worked out the details of a permanent grant for the AALL Management Institute and a grant for the AALL Leadership Academy, to be awarded in alternate years. These grants were based on the criteria proposed by the ad hoc committee from the previous year. In the fall of 2014, the Committee had elected to put the Leadership Grant on hold until the spring. Details of these grants were discussed via email in late May and early June. The Committee submitted a recommendation to the Board on June 15, 2015 to permanently add these grants to the TS-SIS grants program. The recommendation was approved by the Board on June 17 with the stipulation that language be added about reimbursement and clarification of the grants’ deadlines. The Awards Committee began soliciting nominations for the 2015 Renee D. Chapman Memorial Award for Outstanding Contributions in Technical Services Law Librarianship on October 23, 2014. The Committee received two nominations for the Chapman Award by the February 1, 2015 deadline. The Committee met via teleconference in late February to discuss the nominations and subsequently committee members voted by secret ballot. Brian D. Striman, Professor of Law Library and Head of Technical Services and Catalog Librarian at the University of Nebraska-Lincoln College of Law Schmid Law Library, was selected as the award recipient. Brian was notified and an announcement about his selection as the award recipient was sent out to the TS-SIS community on April 14, 2015. Announcement of this award was also posted to the TS-SIS website and submitted to AALL for inclusion in its annual awards publication. AALL headquarters will have a plaque made to be presented to Brian at the Technical Services SIS Business Meeting on July 20, 2015. On December 17, 2013, The Awards Committee solicited nominations from the Law Library community for the Renee D. Chapman Award. During the second week of January 2014 reminders about the upcoming deadline of February 1 were sent out to the Law Library community via list serves. The Committee received two nominations before the February 1 deadline. On March 5, via WebEx, the committee members discussed and evaluated each nominee. Members of the Committee voted by secret ballot and unanimously selected John Hostage, Senior Continuing Resources Cataloger, from Harvard Law School Library. After John and AALL Headquarters were contacted, the selection was announced publicly to the law library community through list serve postings on May 13, 2014. A brief article outlining John’s contributions to the law library community and technical services was submitted to the list serves and posted on the TS-SIS Awards webpage. This outline will also be published in the June 2014 issue of TSLL. AALL HQ will have a plaque made for presentation to John in San Antonio at the Technical Services SIS Business Meeting on July 13, 2014. This year the TS-SIS Executive Board committed $2500 toward grants. Two general educational grants of $1000 each were awarded in addition to the Marla Schwartz Grant of $500. On March 5, 2014, announcement of the available grants was posted to the Law Library community. A total of six applications were received. Two applicants expressed interest in applying for the Marla Schwartz Grant. On April 24, 2014, a WebEx meeting was held to discuss and select grant recipients. The Marla Schwartz Grant recipient was Michelle Modic, who is a May graduate and a Technical Services Intern at Duke University, Goodson Law Library. The recipients of the educational grants were Ning Han, Concordia University School of Law Library, Boise, ID; and Sabrina Davis, Oklahoma City University School of Law Library, Oklahoma City, OK. After notifying the recipients, email notifications were sent to applicants not receiving grants. Recipients were publicized through list serves and the TS-SIS Awards and Grants Webpage. 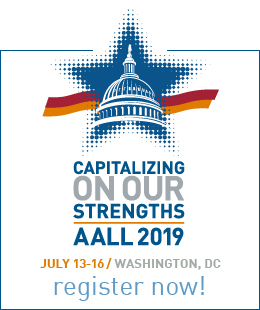 AALL was notified of the awards so that the grantees would be listed in the newsletter, the brochure for the AALL conference. An ad-hoc group comprised of volunteers from the current TS-SIS Awards Committee (Wendy Moore, Jennifer Noga, and Ted Pitts), the TS-SIS Vice-Chair (Suzanne Graham) ,and Second-Year Member-at-Large (Cindy Spadoni) drafted a proposal that was approved by the TS-SIS Executive Board which provides for additional educational grants to all TS-SIS members In addition to the Marla Schwartz Education Grant and funding for new members, grants will be available to experienced TS-SIS members, active TS-SIS members, and TS-SIS members who are accepted into the AALL Leadership Academy. On November 30 2012 nominations for the Renee D. Chapman Award were solicited via the Law Library community. Prior to the deadline, February 1st 2013, the Committee received two nominations. Via two conference calls and email discussions the members of the committee evaluated each nominee. Each nominee was accorded confidentiality and judged by the criteria outlined in the TS-SIS Handbook. Members of the Committee voted on the nominees by secret ballots. Sally H. Wambold, Technical Services Librarian from University of Richmond School of Law Library was selected. Several weeks into her retirement Sally was informed of the decision by phone, after which the selection was announced publicly on May 8, 2013. Sally will receive the plaque in Seattle at the Technical Services SIS Business Meeting on July 14, 2013. This year the TS-SIS Executive Board decided to dedicate $2500.00 in grant money. This amount was divided among two educational grants of $1000.00 each and $500.00 for the Marla Schwartz Grant. In January 2013 announcements for the grants were sent via the Law Library community. Prior to the deadline, April 13, 2013, the Committee received six applications, four for the Educational Grants and two for the Marla Schwartz Grant. The Committee discussed each applicant via email and conference call and those selected were notified by telephone and also email within a month after the deadline. The Marla Schwartz Grant was offered to Antionette Vanterpool, who is currently attending Library School at Florida State University while working as a Library Assistant in the Legal Information Center at the University of Florida, Levin College of Law. The Educational Grants were offered to Diana Menashi, Head Cataloger at Joseph D. Fuchsberg Law Center, Gould Law Library, Touro Law College in New York; and Joseph A. Reimers, who is currently earning his MSLIS at Drexel University’s ISchool while working as a Technology Support Assistant 3 at Notre Dame, Kresge Law Library since June 2002. All pertinent parties within AALL were notified of the awards so that the grantees would be listed in the newsletter, the brochure for the AALL conference and on the TS-SIS website. The information was also posted on various AALL social networking sites. It was the Committee’s wish to provide a fillable form for the grant application but due to time constraints and workload demands that wish did not materialize this year. The Committee therefore recommends this as an improvement to the application process beginning with next year’s applications. The Awards Committee solicited nominations from the Law Library community for the Renee D. Chapman Memorial Award. We received two nominations prior to the deadline. The Committee selected George Prager of the New York University Law Library for the award. George was informed of the decision by phone, and then the selection was announced publicly on March 27, 2012. George will receive the plaque in Boston at the Technical Services SIS Business Meeting on July 22, 2012. The grant applications were down considerably this year. We received four grant applications: two for the Marla Schwartz Grant and two regular grants. The Marla Schwartz Grant was awarded to Michael Umberger, who is currently in school at the University of Washington. With the regular grant applications, after much discussion by the Committee the decision was made to disqualify both applications. On the 1st of November 2010, the committee sent out an email seeking nominations for the Renee D. Chapman Award. During the following three months more notices were emailed out seeking nominations for this award. A total of five names were submitted to the committee for the Renee D. Chapman Awards by February 1st, 2011. During February and March of 2011 the committee evaluated the nominees for their qualifications according to the AALL TS-SIS handbook. The committee also had two conference calls where they discussed the nominees. During the second of these calls the committee voted on their choices and a selection was made. Yael Mandelstam, Head of Cataloging at Fordham University School of Law Library was selected to receive the Renee D. Chapman Memorial Award for Outstanding Contributions to Technical Services Law Librarianship. After receiving approval from the TS-SIS Executive board the committee chair then contacted Ms. Mandelstam by phone to inform her of her selection and a written confirmation letter was also mailed to Ms. Mandelstam. Beginning February 1st, 2011 through March 30th, 2011, the committee sent out emails to the various AALL lists announcing the availability of TS-SIS Educational Grants and the Marla J. Schwartz Grant that were available to individuals to attend various AALL sponsored or TS-SIS sponsored events at the 2011 annual meeting in Philadelphia, PA. By April 1st, 2011 the committee had received a total of ten applications for these grants. The committee discussed the applicants via email and conference call over the two month time period. Upon voting the committee selected eight individuals to receive grants. Seven were for educational grants to cover either AALL conference registration, CONELL, or a TS-SIS workshop and one Marla Schwartz grant was awarded. After receiving approval from the Executive Board the grant recipients were notified via telephone or email of their awards. Grant recipients were also given the name of the current TS-SIS Secretary/Treasurer to contact regarding their grants. All pertinent parties within AALL were notified of the awards given so that they would be listed in the newsletter, brochure for the AALL conference and on the TS-SIS web site. The information was also sent out to the various AALL lists. Beginning October 1, 2009, the committee sent out e-mail notices to all relevant AALL listservs seeking nominations for the Renee D. Chapman Memorial Award for Outstanding Contributions in Technical Services Law Librarianship. Each month thereafter through January 22, 2010, more notices were sent to seek nominations for the award. Four names were submitted for the Chapman Award. During the months of February and March, the Committee evaluated the nominees based on their qualifications for the award according to the TS-SIS Handbook. In the middle March 2010, the Committee chair informed the TS-SIS Chair and the Board regarding selection of the candidate, Carol Avery Nicholson, Associate Director for Technical Services at the Kathrine Everett Law Library, University of North Carolina at Chapel Hill. After approval from the Board, Ms. Nicholson was notified by phone and e-mail and the announcement was sent out via the TS-SIS listserv, published in the TS-SIS Newsletter, and posted on the TS-SIS website. The current AALL Awards Committee Chair, Camille Broussard, as well as Kim Rundle at AALL HQ, were notified regarding the recipient of the Chapman Award. AALL HQ will have a plaque made for presentation to Carol and the announcement will be posted in the AALL Awards brochure for the annual meeting. Margaret Maes, Executive Director of the Legal Information Preservation Alliance, nominated Ms. Nicholson for the Chapman Award, and has agreed to present the award to her at the TS-SIS Business Meeting at the AALL conference in Denver this summer. On February 1, 2010, the Committee sent out e-mail messages to the various AALL lists announcing the availability of the TS-SIS educational grants, as well as the Marla J. Schwartz Grant, which help fund attendance at the AALL Annual Meeting, pre-conference workshops, and/or the CONELL meeting each year. Two more reminder e-mail notices were sent out before April 1, 2010 (the deadline for applications for these grants). By the April 1 deadline, the Committee received four applications for the TS-SIS grants or the Marla Schwartz grant. (There were no TS-SIS Pre-Conference Workshops to be offered this year.) During April, the Committee members evaluated all applications based on the guidelines set forth in the TS-SIS Handbook. All four applicants received $445 to cover Program Registration costs to attend the Denver annual meeting. One applicant, who had also applied for funding to attend CONELL, additionally received $100 via a Marla Schwartz grant to cover registration costs at that meeting. The following individuals received a grant for attendance at the AALL or CONELL annual meetings: Ajaye Bloomstone, Amanda Quist, Courtney Selby, and Caroline Young. All recipients were notified by telephone, as well as with a follow-up e-mail message congratulating them and requesting that they contact Wendy Moore, the current Secretary/Treasurer, regarding registration submission and reimbursement procedures. Beginning on October 1, 2008 the committee sent out emails to all relevant AALL list serves seeking nominations for the Renee D. Chapman Award for Outstanding Contributions in Technical Services Law Librarianship. Each month following until mid January 2009 more emails were sent out to seek nominations for this award. Five names were submitted for the Chapman Award. During the months of February and March 2009, the awards committee evaluated the nominees and their qualifications for the award according to the TS-SIS Handbook. In the middle of March 2009 the Awards Chair informed the TS-SIS Chair and the board of the selection of the candidate, Curt E. Conklin, and after approval from the board Mr. Conklin was notified via phone and a mailed letter and the announcement was sent out via email and to be published in the TS-SIS Newsletter. The AALL Awards Committee Chair as well as AALL Headquarters was also notified on the recipient of the Chapman Award. Arrangements were made with AALL HQ to have a plaque made and announcement posted in the AALL AWARDS Brochure for the annual meeting. On February 1, 2009, the committee sent out emails to the various AALL lists announcing the availability of the Marla J. Schwartz Grant and the TS-SIS Educational Grants to attend programs at the 2009 AALL Annual Conference. Two more emails were sent out before April 1, 2009 reminding individuals of the available grants. By the April 1st deadline the committee received thirteen applications for TS-SIS Grants. One applicant was disqualified due to lack of required letters of reference. During April 2009 the committee members evaluated all applications and the guidelines set forth in the TS-SIS Handbook. Since the committee had several good applicants and due to the current economic status we tried to give as many individuals as possible some part of the overall grant monies. The committee choose one applicant, Leslie K. Wakeford, to receive the Marla J. Schwartz Grant. The TS-SIS Chair was informed of the selection before notifying the recipients. The following individuals received a grant to either attend CONELL, AALL registration, or a workshop registration: Ajaye Bloomstone, Iris Garcia, Lindsay Beth Given, Emily Philips, Victoria Sukhol, Richard Todd, and Jared Wellman. All recipients were notified by a phone call or email as well as a letter via the mail. Non winners were notified by letter. A total of $2,520.00 was given out in TS-SIS Educational Grants. Beginning June 1, 2009 emails were sent out to AALL lists of the grant recipients and AALL HQ and the TS-SIS Newsletter editor were notified of the recipients. Grant recipients were notified by the Awards Chair to contact the TS- SIS treasurer regarding registration and or reimbursement questions if they had already paid for some events. The Committee Awarded the Renee Chapman Award for 2008 to Joseph Thomas, Head of Technical Services, University of Notre Dame. The award will be presented to Joe at the TS-SIS business meeting in Portland, Oregon. Jennifer Tsai is the recipient of the second TS-SIS Marla Schwartz Grant to support her attendance at CONNELL. Jennifer is Head of Technical Services at the Golden Gate University Law Library. Jennifer is also the recipient of a TS-SIS Grant to attend the conference. Hollie White is the recipient of a TS-SIS Grant to attend the conference. Hollie is a PhD candidate in Information Science at the University of North Carolina at Chapel Hill. Chris Pickford is the recipient of a TS-SIS Grant to attend the conference. Chris is the Catalog Librarian at the San Diego County Public Law Library. The Awards Committee publicized the call for nominations for the Renee D. Chapman Memorial Award for Outstanding Contributions in Technical Services Law Librarianship which were due February 1, 2007. We then reviewed the nominations and chose Mary Jane Kelsey (Lillian Goldman Law Library, Yale Law School) as the 2007 recipient. Sean Chen is the recipient of the first TS-SIS Marla Schwartz Grant to support his attendance at “The Future Is Digital: Metadata Standards and Applications” workshop. Sean is Cataloging Assistant at the Duke Law School Library and also a student in the MLS program at the University of North Carolina at Chapel Hill. Edward Hart is the recipient of a TS-SIS Grant to attend the “Delivering the Goods: Effective and Efficient Acquisitions Processes” workshop. Ed is Acquisitions and Serials Librarian at the University of Florida. Tina Miller is the recipient of a TS-SIS Grant to attend the conference. Tina is Technical Services Librarian at the John F. Kennedy University Law Library. Karen Wahl is the recipient of a TS-SIS Grant to attend the conference. Karen is Catalog Librarian at the Fordham University Law Library. The Committee also assisted in revising parts of the TS Handbook and website that deal with the TS Educational Grants.